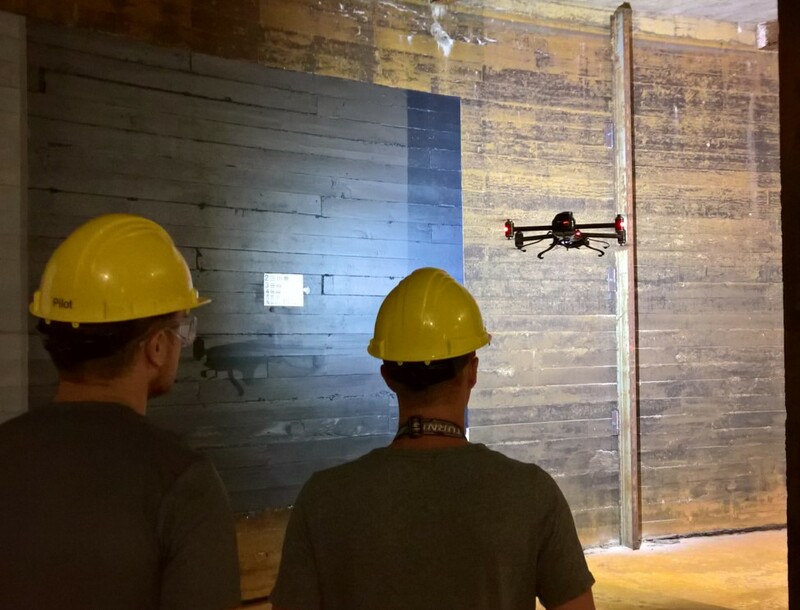 Save your company a time and money by investing in one of the most advanced internal inspection drones on the market. Purchasing a Legacy One gives your company the leg up with one of the most advanced internal inspection drones on the market. We make your decision to buy one of our drones easy. With a proven sales process outlined below, you can feel comfortable in your choice to buy the Legacy One. We understand that seeing is believing. What better place to see new technology work than inside the area it was built for? With Interactive Aerial’s Flight Demonstration Facility, you will see the Legacy One operate in one of the most challenging flight environments around. 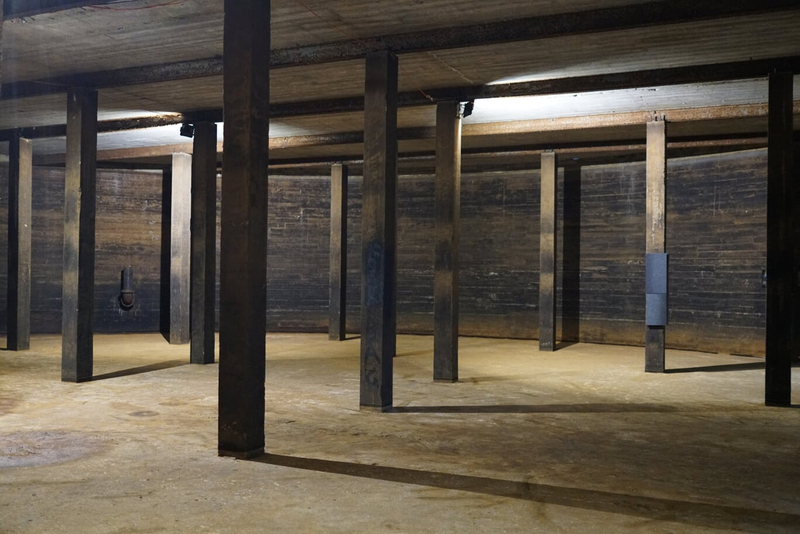 Our 80’ diameter tank was constructed with concrete and steel, once holding 560,000 gallons of water. The 12” thick concrete walls capped by an 8” thick concrete ceiling is the perfect GPS-denied location. Adding to the complexity of the flight environment are the 26 support columns that are steel pillars surrounded by concrete. Our complimentary flight demonstration of the Legacy One will show you all the vehicles features during a simulated real-world inspection. We will take photos of different defects, video of a section of tank walls/ceiling, and demonstrate various characteristics of proprietary software for photo measurement. If you’re considering a demonstration in Traverse City, we suggest blocking off 24 to 36 hours to be with us. We will do a dinner the evening upon your arrival, then meet at our office the following morning at 9am to begin the demo. Starting off the demo day, we begin with our engineers to ensure all your technical questions about the system are answered. After discussing all aspects of the drone, we then tour with our training and development partners at Northwestern Michigan College. The demo wraps up with a few hours spent in our demo tank to assess all the various features of the Legacy One as outlined in the section above. The demonstration wraps up mid-afternoon just in time to experience one of the most popular towns in America. Stick around to enjoy our acclaimed food, winery, and brewery destinations. With the purchase of your Legacy One aircraft, you’ll receive two complimentary seats in our vehicle training program. Need more than two? We can accommodate a class of any size. We’ll host a two-day training session to make sure you’re getting the most out of your vehicle. The first half of day one is assessing a pilot’s skill level. If minimal skills exist, we’ll discuss the overview of FAA regulations, fly a UAV flight simulator, then finish block one with basic intro flying on an “off-the-shelf” simple to use platform. The second half of day one is focused on our Legacy One aircraft. 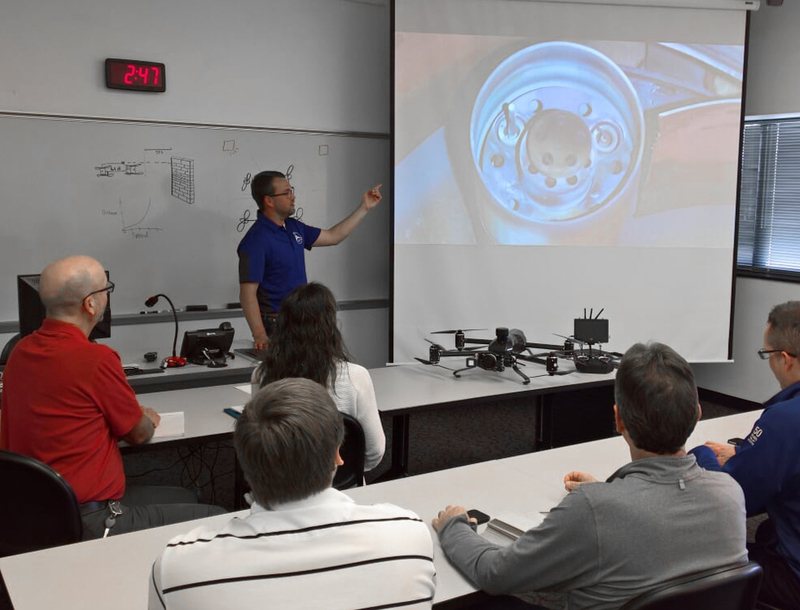 Interactive Aerial pilot instructors give a thorough overview of the vehicles capabilities, along with best maintenance and travel practices. 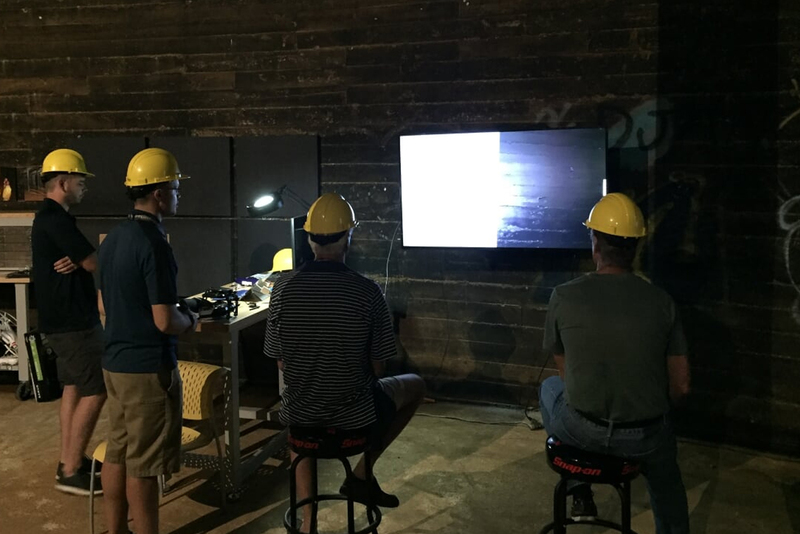 After crucial classroom information is discussed, our team will help you build a solid foundation of pilot skill before day two spent at Interactive Aerial’s Flight Training Facility. Day two is spent entirely at the decommissioned fluid storage tank our company acquired in July of 2017. This challenging flight environment allows our instructor pilots to focus on inspection specific exercises to teach a wide variety of vehicle operating systems. As quality data is the key to a successful inspection, our team focuses most of the attention on photo and video management. The last section of the training program is a full job simulation accompanied with an evaluation of how each student is doing. Pilots will leave confident in their abilities to tackle any inspection request that comes their way. We understand the uses of drones are changing. Companies starting drone departments are not solely hiring pilots with 2 and 4 year UAV degrees. A drone is a tool, more commonly used by a traditional inspector in the field. Often times, these traditional inspectors have not gone through FAA licensing or hands on drone training. 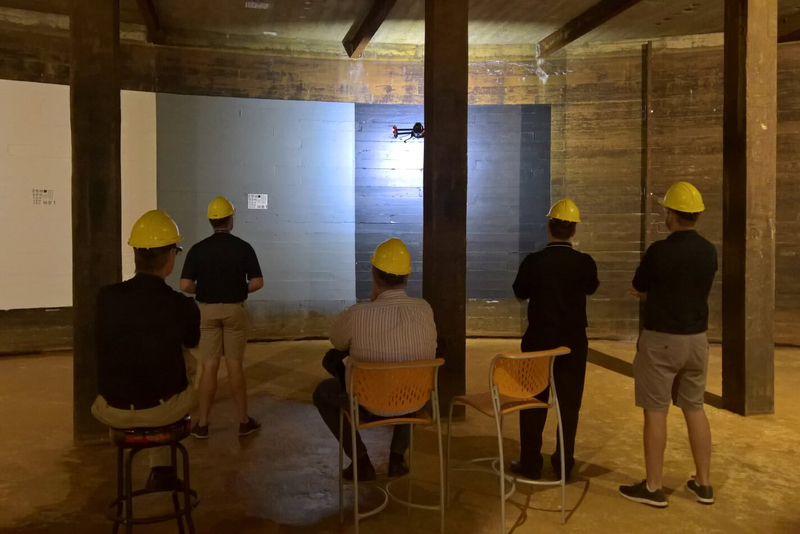 With that in mind, Interactive Aerial has built the Legacy One training program to take a traditional inspector from zero experience to fully flight ready in just two days. We will cover drone basics with easy to use “off-the-shelf” drones, then migrate to beginner Legacy One flights. This way, a pilot of any skillset will leave Traverse City confident in their abilities to fly the Legacy One at its fullest potential. Included in the first year of owning the Legacy One is the Service Plan for the vehicle at no additional charge. The option to purchase a subscription to the Service Plan will exist one year after original P.O. submission. One of the largest hassles in the UAV industry is repurchasing a whole separate system after new technology is released. Under Interactive Aerial’s Service Plan, you can continually upgrade your original without purchasing a whole new system. As hardware and software updates are released, our team will send you easy modification packages to install yourself, or if they tend to be more complicated, send it back to us and we’ll install the updates before shipping it back. After your vehicle is built, select two of your company’s pilots to attend initial vehicle training for free In Traverse City, MI. Under the Service Plan, your company will receive two complimentary seats in the training program annually. Therefore, you can send the same two original pilots back for recurrent training or send two new pilots to receive instruction and updated operational practices for the vehicle. An overview of the training program is listed above. If anything on the Legacy One becomes worn out or damaged, under our Service Plan, your company has a credit of $1,000 to replace components no questions asked. If a propeller gets damaged or a motor isn’t functioning properly, we will send brand new parts and deduct it from your $1,000 credit without sending an invoice. In the event your vehicle becomes substantially damaged, our team will make all necessary repairs and quality control fly it at our headquarters before shipping it back to you.